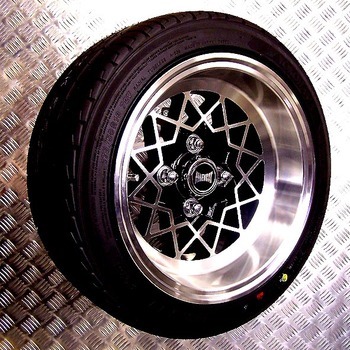 When fitting aftermarket, or custom wheels, you should check for any clearance issues. Incorrect fitment or Rubbing will wear out your tires, bearings, and cause other suspension components to fail or wear prematurely. Offset is the measurement in millimeters from the wheel centre line to the wheel mounting face. More often than not, offsets are positive(+) where wheel styles tend to be flush or convex. 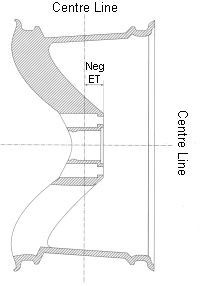 Negative (-) offsets tend to have concave styling and the use of spacers. the face of the wheel where it is bolted to the hub. A positive offset occurs when the hub mounting surface is on the street side (the side you see) of the center line of the rim. Most factory rims will have this type of offset. 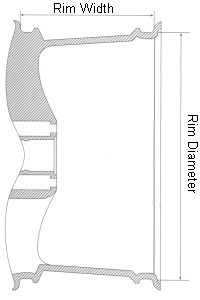 If the hub mounting surface is on the brake side of the center line of the rim, it is considered a negative offset or "deep dish". WARNING: Incorrect offset can seriously affect vehicle performance. This stock 4.5" x 10" Mini Cooper S alloy wheel has a POSITIVE Offset of 35mm. It would be seen as 4.5" x 10" wheel, 4 x 4" lug pattern, Offset of ET35. 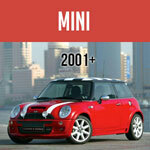 This Minilite 6" x 10" Mini Cooper S wheel has a POSITIVE Offset of 15mm. It would be seen as 6" x 10" wheel, 4 x 4" lug pattern, Offset of ET15. This Super Trax 7" x 13" Mini Cooper S wheel has a POSITIVE Offset of 7mm. It would be seen as 7" x 13" wheel, 4 x 4" lug pattern, Offset of ET07. This Alleycat 7" x 13" Mini Cooper S wheel has a NEGATIVE Offset of 7mm. It would be seen as 7" x 13" wheel, 4 x 4" lug pattern, Offset of ET-7. It is really necessary to check whether tire or wheels are of proper offset and shape. If there is little bit variation in shape and size then it hardly matter you can go for it, but if variation is wider then it may be harmful for other parts of car. 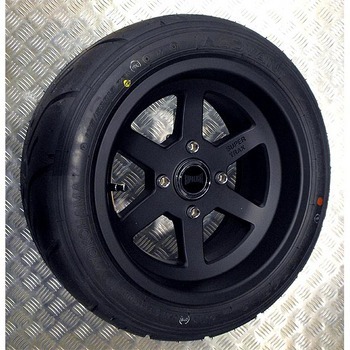 It will be best if you can identify standard shape and size otherwise buy it from any trustworthy seller like http://wheels.net/wheels/mini-rim.html that have entire knowledge and can suggest which would be best suitable rim & tire according to your car. Offset also changes your suspension geometry. 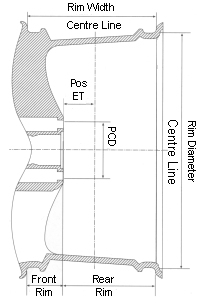 Many calculations are based by using the center of the contact patch. Be careful you understand the implications of moving it if you change it. Hello The Rose Petal Wheels weigh just some 2,8 kilos. 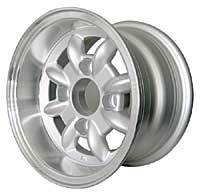 What is the differece in weig to normala Minilite type 4,5,x10 racing wheel? 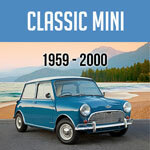 Is it true that they would be FIA approved for pre -65 Cooper S racers? In some parts FIA lets some 1-2 % variation in sizes and if ahomologation tells to use 3,5" wheels then one can race with 4" wheels as in Austin Healey Sprite. FIA Historic comission changed the AH Sprite 5" wheels to 3,5" saying that thy had made a mistake 45 years ago. O´boy how they are wise , they find out queer things and claim their truth to be the right one. After this I sold my AH racer from Finland to Denmarka. Now , askin about the 4,75x10" wheels if they really are FIA approved also for pre 66 historic classes jukkaselenius@hotmail.com Please email me.